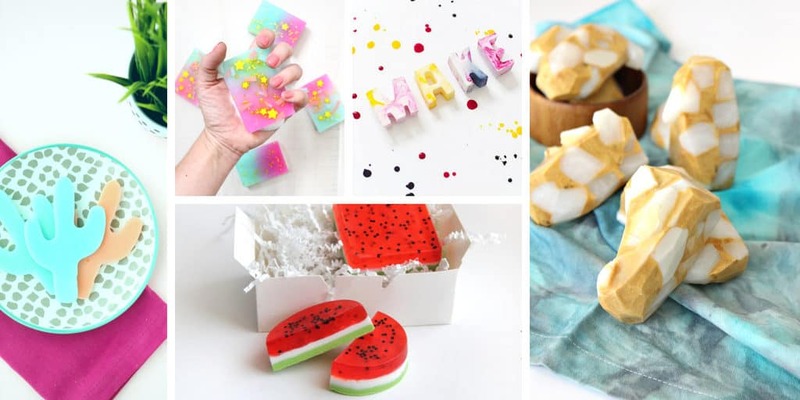 Handmade soap is a small detail that makes such a huge impact on the decor of your home! Since I was a small child, I remember being fascinated by little rosettes or creamy bars of colorful handmade soaps stashed in the guest bathroom at our house. I was not allowed to touch them! Though I pictured craftsman (or women!) at home making their soaps, I later learned that was not the case (at least at my house). However, the idea of special soaps stuck with me. It wasn’t until I was an adult that I realized making homemade soap was actually not all that hard. In fact, it is downright easy. For most soaps, it literally takes a soap mold, a microwave, some soap or glycerin to melt, color and scent. What makes them so fun for me is playing with the scents, color, and shapes to make things that feel really personal. At home, that means making simple soaps with my kids that feel special to them because it is their favorite scent. Or a color they love. Handmade soap makes a beautiful gift for the same reason. With just a few supplies, you can make really personal, special holiday gifts. Or Mothers Day…. Or teacher gifts… You get the idea. 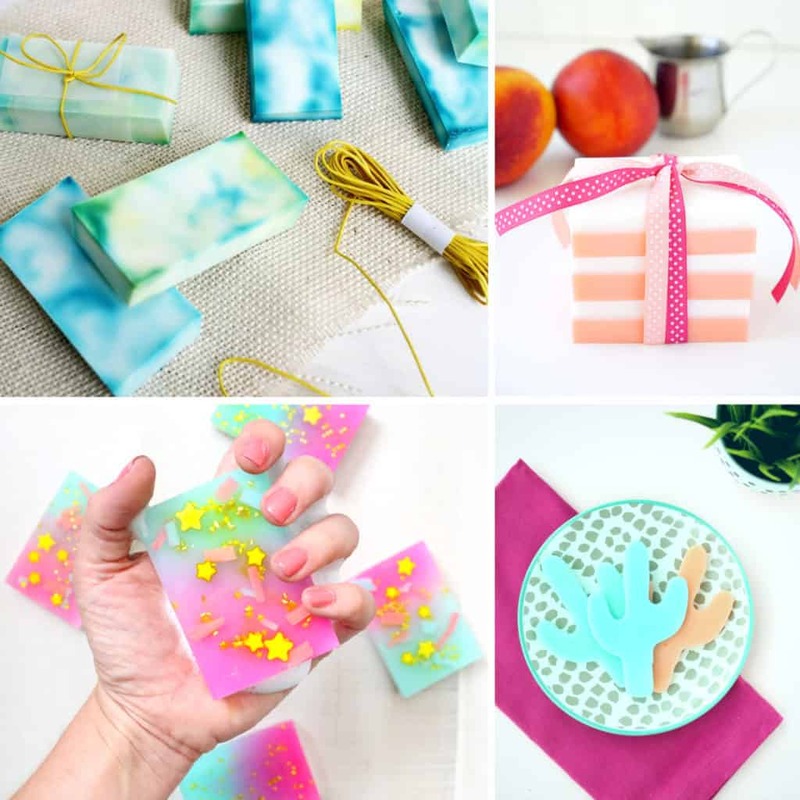 Make Your Own Tie Dye Soap from abeautifulmess.com <— this one is simple and my teenager’s favorite! Make A Star-Studded Unicorn Soap from akailochiclife.com <— my kids love this one!! 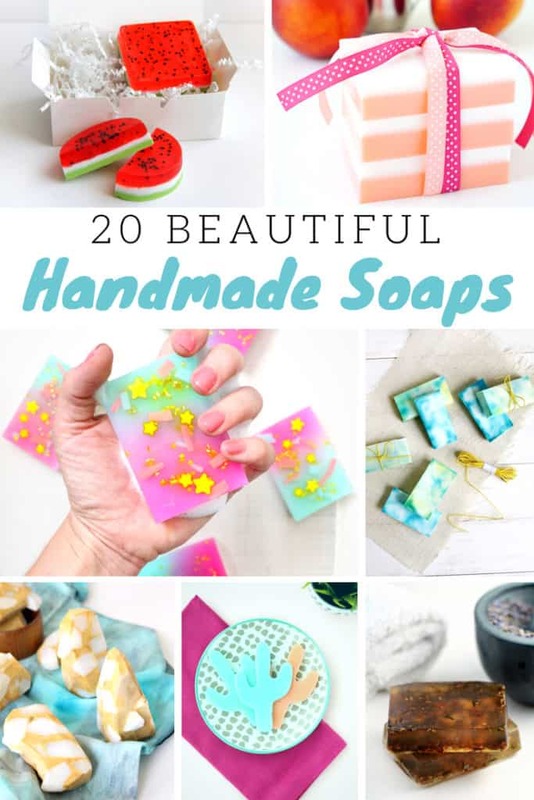 Have you tried making your own soaps? Tag us on Instagram so we can see your creations!